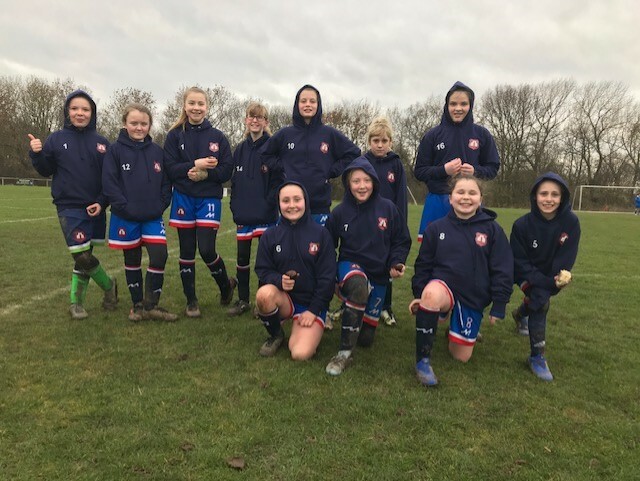 Guisborough Ladies Under 12s with their new cold weather training tops. The cold snap has brought back the winter shivers but it isn’t affecting the Guisborough Ladies Football team in East Cleveland. After finishing second in the North Riding Women’s Football League (NRWFL) at the end of the 2015/16 season, Guisborough Ladies were promoted to the North East Regional Women’s League (NERWL) North. They struggled for two seasons before returning to the NRWFL at the start of 2018/19 proving their dominance here by consistently topping the league. Earlier this month they went through to the next round of the North Riding League Cup when their opponents were unable to fulfil the fixture. Prior to that, in the league, they won 7-1 away to Ripon to leave them top of the table. Andrew Fulton vice president of ICL Boulby said: We have a pot of money set aside every year to help worthy causes like this and we’re proud of being part of the community not apart from it. We’re delighted to see Guisborough Ladies doing so well,” he added.